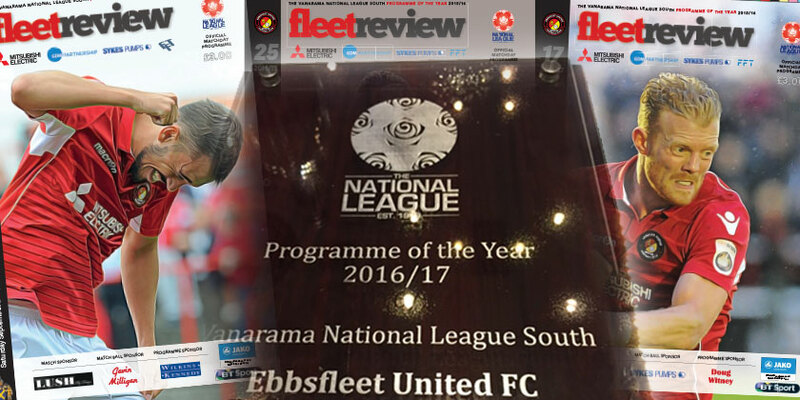 Ebbsfleet United’s FleetReview matchday programme has been voted the Vanarama National League South programme of the year for the second season running. 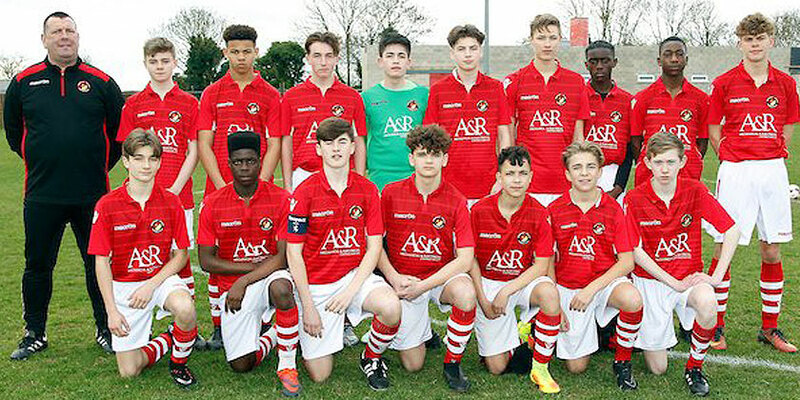 Announced at the National League’s AGM at Celtic Manor, Newport, on Saturday, the award is voted for by the other clubs in the division. 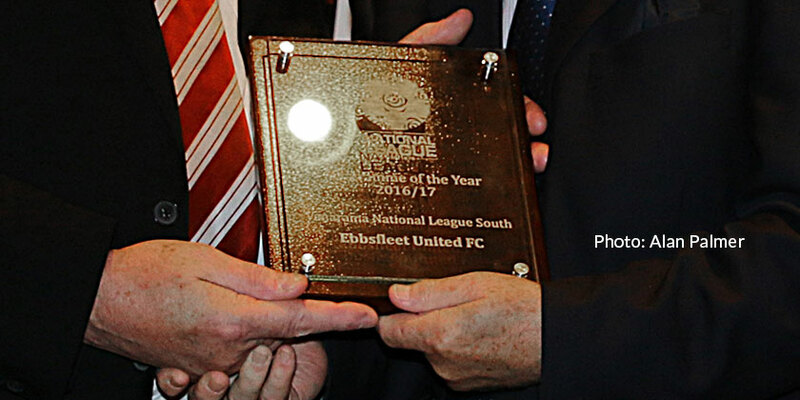 Peter Danzey picked up the award on behalf of the club. Never ones to miss an opportunity, the club are of course happy to accept any new advertising for FleetReview‘s pages in 2017/18 in the National League. 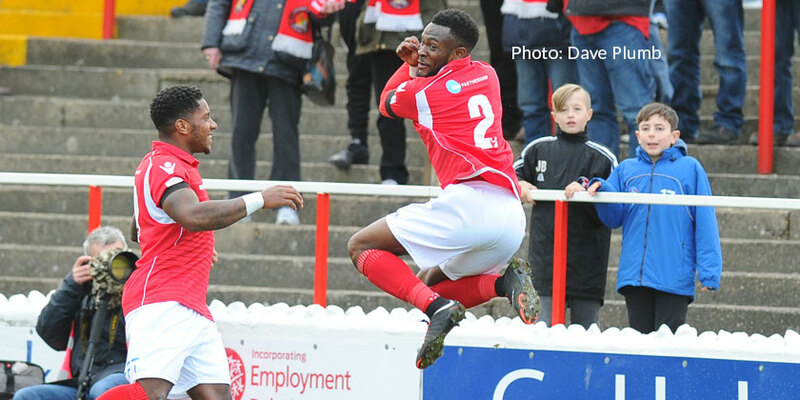 All enquiries for season-long page, half-page and quarter-page advertising to matthew.faithorn@eufc.co.uk.